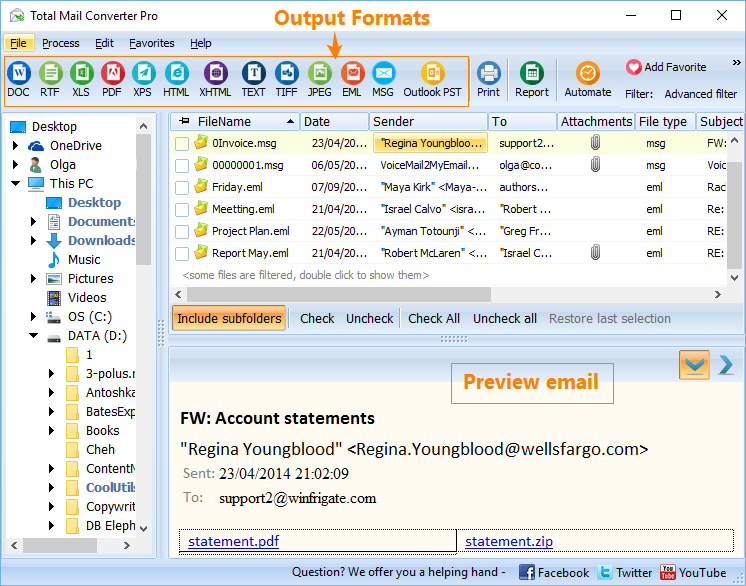 Huge news, as Total Mail Converter Pro just got a whole lot better and even easier to use. 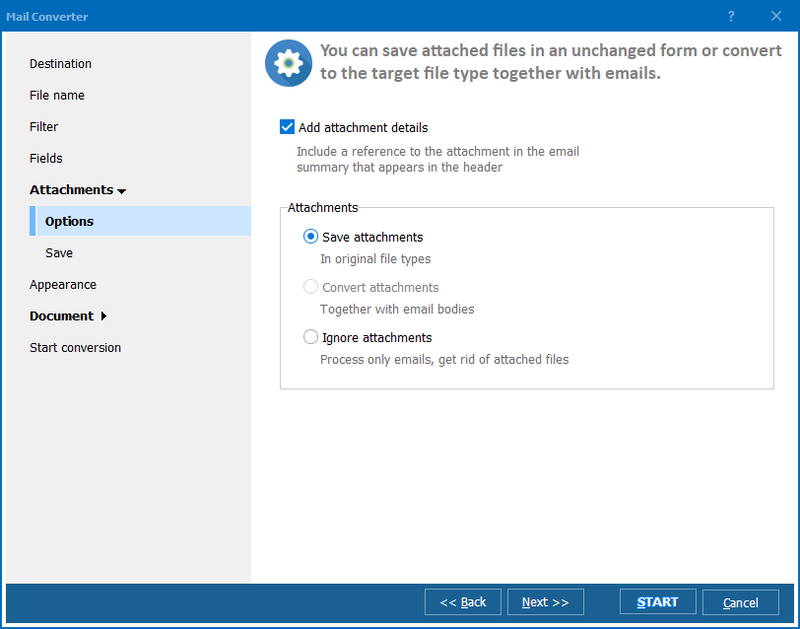 CoolUtils Total Mail Converter Pro already makes it easier than ever to backup, save and convert emails and attachments to PDF, DOC and a variety of other output formats at the push of a button. However, with the recently announced upgrade, filtering, searching and finding the emails you need converted is now easier than ever thanks to the new two-level filtering system. 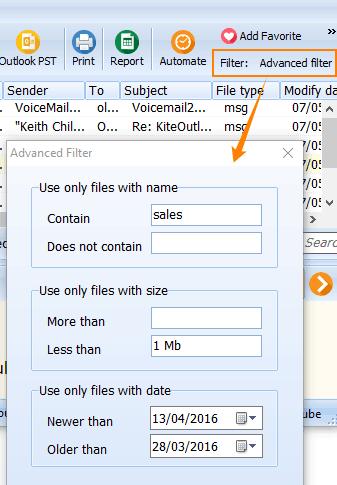 After selecting the EML or MSG file containing the required emails from your hard drive, the first level of the filter then allows you to sort through to show only those that match your filter. You can filter out the emails to show only those that contain or do not contain a specific name, or those files within a certain size or between certain dates. Instead of having to manually search through hundreds or thousands of emails, this first filter makes the task that much easier by only showing you those emails that match your chosen criteria. 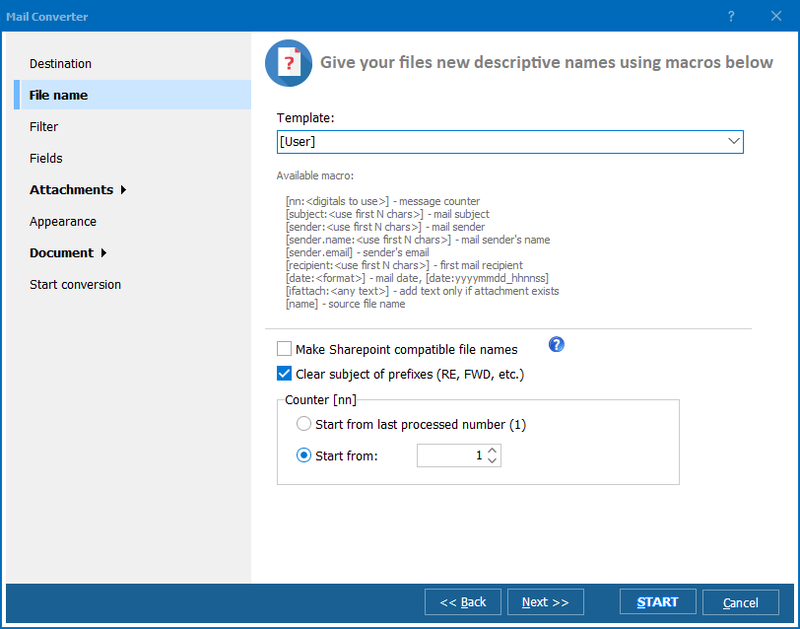 Simply click on the Advanced Filter button, input the desired criteria and the software will automatically return a list of all email files and folders that match. However, this still doesn't help that much in the case that you only need to select specific conversations and messages from a particular sender, as this first filter will still show you all messages from that sender and is only able to filter based on name, date or size. This is where the next filter comes in to simplify things even further. After filtering out your files, you can simply select all of the folders or files that match your chosen criteria even if you don't need all of them. Once you've selected the folders, you'll need to first choose the desired output format (PDF, DOC, etc. ), which will then bring up the menu where you can choose your conversion options like appearance, headers and footers, file names, etc. If you click on the Filter tab on the left side of the menu, you'll now have even more filtering options. 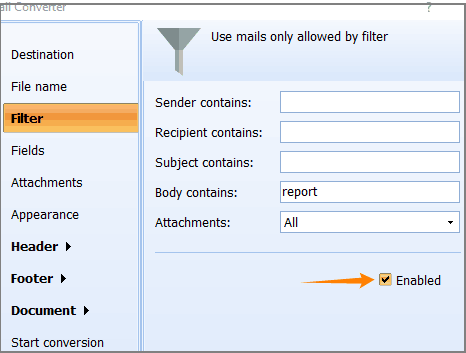 You can again filter out only those emails that contain a specific word, phrase or name in the Sender, Recipient or Subject fields. However, even more useful is the fact that you can now search for only those emails that contain a specific word within the body of the email as well. Total Mail Converter already saved you a ton of time and hassle compared to having to backup and convert files individually, and now thanks to the new two-level filter, automatically finding which emails you want to convert is now just as easy. Download your free evaluation copy of Total Mail Converter Pro and convert all your emails to PDF, DOC, TIFF files in seconds. Using the latest update of Total CAD Converter you can change the version of DXF and DWG files. We have added PDF/A to the target format bar in the new Total Mail Converter Pro. The new Total HTML Converter has can convert HTML to EML. The fresh Total HTML Converter has improved support of files in Hebrew. The new version of Coolutils Converter can convert .zip, .7z, .rar archives into one PDF. The new version of Total CSV Converter suggests you selecting output encoding for your files. No worries, we don't spam.